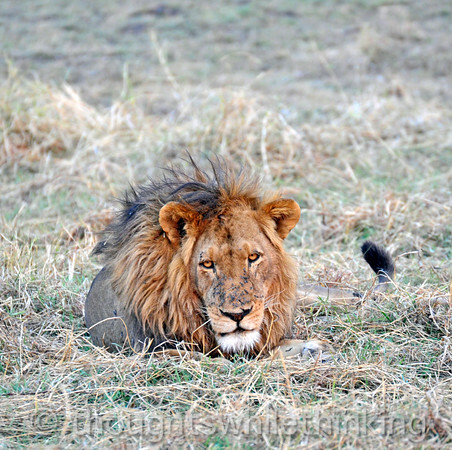 Mature male lion encountered during a game drive out of Busanga Bush Camp in a large open savannah with his kill, which is out of the picture and was pretty much buried in the grass. All of the four-legged critters in the area were giving him a wide berth. The flies, seen covering his nose, had no such fear.